A long article on Jewish roots travel by Hilary Danailova in New York Jewish Week quotes me at length about changes in the Jewish heritage and Jewish heritage travel scene over the past quarter century. After a career traveling widely and often, Marshall Katz retired from the U.S. Air Force and a series of high-level government posts — and embarked on a new odyssey of sorts: researching the lost Jewish heritage of Sub-Carpathia, his ancestral homeland. Katz now makes regular trips between Pennsylvania, where his father was a kosher butcher near the West Virginia border, and Eastern Europe, where the Katz family’s forbearers had lived in what is today part of Hungary. 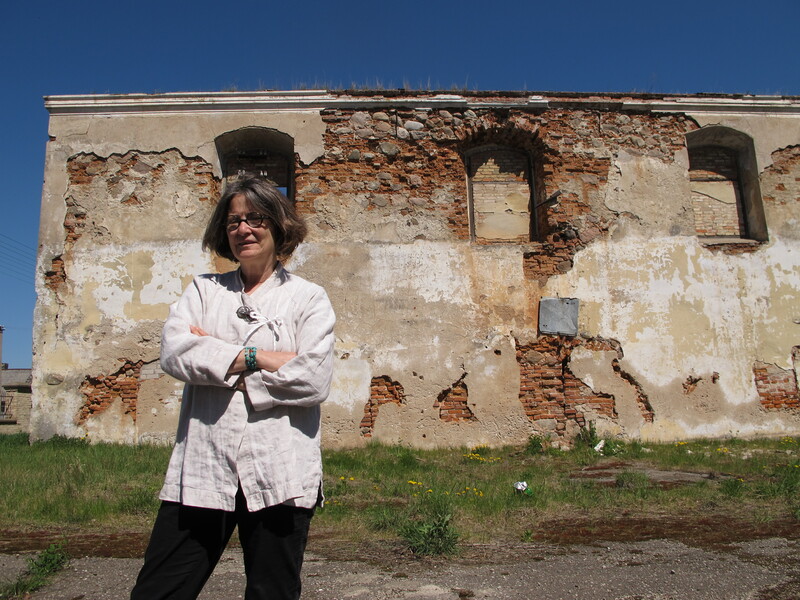 Undaunted by language barriers and unfazed by “atrocious” roads, Katz has since logged trip reports — along with practical travel advice, cemetery photos and recovered Jewish history — for hundreds of villages throughout Hungary, Western Ukraine, the Czech Republic and Slovakia. He posts them on the website JewishGen.org, an encyclopedic Jewish-genealogy resource with a half-million registered users worldwide. “I’m trying to make a contribution,” Katz said recently by phone from Ukraine. In addition to cataloguing copious amounts of data for the Sub-Carpathian Special Interest Group site, which he founded on JewishGen, Katz communicates personally with many of his fellow heritage seekers — searching out a family’s tombstones or vital records in a particular village he plans to visit, for instance, or advising travelers on everything from hiring a car service to reliable tour guides. A few decades ago, Katz’s travels would have been virtually impossible, or at least extremely difficult. But Jewish travelers today have access to myriad online resources — and a global community of fellow genealogy enthusiasts — that have transformed heritage travel. Whereas a “roots” trip might once have been an informative but generic organized tour of Jewish districts, major cemeteries and Holocaust sites in Poland or the Baltics, today’s travelers are going online to zero in on a great-grandparents’ shtetl, family tombstones and the very streets where the European Jews of yesteryear prayed and shopped. Gruber pointed out that most ancestral Jewish homes were located behind the Iron Curtain — so prior to the early 1990s, travel would have been difficult or outright impossible, and archives were sealed under Communist rule. Today Americans not only travel freely within Eastern Europe; they frequently do so without the need for visas or even border checks. Infrastructure is also vastly improved (though Katz has horror stories about Ukrainian roads), with discount airlines making it cheap and convenient to hop between cities. A generation ago, Americans would have struggled with a near-insurmountable language barrier — but today, many Europeans speak English, so it’s far easier to hire a driver or query locals about Jewish sites. And most obviously, the Internet has opened up a world of information that was previously inaccessible. Everything from vital records and historical data to detailed maps and trip-planning services is literally a click away. JewishGen — which was launched in the 1980s and is now affiliated with the Museum of Jewish Heritage in New York City — remains an invaluable resource for travelers. The website organizes the research of more than 80,000 volunteers worldwide; online archives (some 22 million records and counting) help families find relatives, ancestral hometowns and each other. JewishGen also has a Holocaust database of victims and survivors, including ghetto records and census lists; special area groups, like Katz’s Sub-Carpathian site, with maps, photographs and local travel links; and a portal called KehilaLinks, with a detailed website for each community — kehila in Hebrew — where Jewish members’ families once lived. Not even sure which part of Europe you come from? Those with questions about their origins may start — or complement their research — with DNA testing services such as 23andMe or Family Tree DNA. For a fee typically in the low three figures, these online companies analyze saliva samples to determine national and ethnic origin. Jewish users can confirm ties to particular countries or Ashkenazic roots, then take advantage of online community resources to connect with others from similar backgrounds. All of which points to new dimension in heritage travel: modern sojourners seek to connect not only with their ancestors, but also with each other. On sites like Tracing the Tribe — a popular genealogy blog that recently relocated to Facebook — virtual communities have formed; distant relatives or descendants of neighbors find each other, Europe-bound travelers recommend custom tour guides for far-flung shtetls, and returning heritage pilgrims get help translating tombstones. A lot of that research has been done by Gruber herself for Jewish Heritage Europe, arguably the most comprehensive web portal for guidance on Jewish destinations, historical sites and cultural events throughout the Continent. The site — a project of the Rothschild Foundation (Hanadiv) Europe — is constantly updated with country-specific information, links and news from Lisbon to Minsk. For the many American Jews with roots in modern-day Poland, there’s also the Virtual Shtetl. The bilingual Polish-English website is the online community-and-research extension of the recently opened POLIN Museum of the History of Polish Jews in Warsaw, which has quickly become one of Europe’s scholarly hubs for Jewish heritage. An up-and-coming resource is World Jewish Heritage, an organization launched four years ago that describes itself as “a cross between UNESCO, Wikipedia and Fotopedia” connected by Jewish heritage and culture. WJH is in the process of launching a smartphone travel app that allows users to locate sites of Jewish interest in major cities around the world; a new series of eBooks and online articles highlighting topics such as Israel’s top 10 restaurants or Jewish historical sites throughout Spain. As with other travel portals, WJH hopes to draw on user input as it grows. This entry was posted in In the media, Jewish Heritage, Uncategorized by Administrator. Bookmark the permalink.